Chelsea are reportedly eyeing up a somewhat ambitious transfer move for Barcelona attacking midfielder Philippe Coutinho to replace Eden Hazard. According to the Independent, the Blues are keeping an eye on the Brazil international’s situation after his difficult start to life at Barcelona after joining from Liverpool just over a year ago. This comes as the Daily Mirror report that Real Madrid are confident of securing the signing of Hazard this summer for around £100million. Coutinho makes perfect sense due to his similar style of play and due to the fact that he’s already proven himself as a top performer at Premier League level. 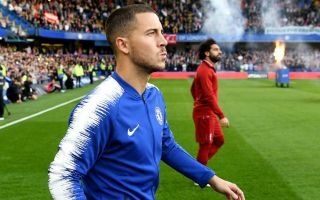 Even if things haven’t worked out for the 26-year-old in La Liga, he was one of the finest attacking players in Europe during his Liverpool days, and if he got back to that kind of form for Chelsea, they would not miss Hazard too much. Coutinho would likely be expensive, however, with Wikipedia listing him as the third most expensive player of all time at the moment. Having invested so much in him just a short time ago, Barca surely won’t let the South American playmaker go too cheap. Chelsea bringing in money from Hazard’s sale could help towards a deal, but in this current market it may still be some way off enough to persuade Barcelona to sell Coutinho.